I’ve always been fascinated by Ruby’s lazy enumeration, a feature that was introduced in Ruby 2.0. 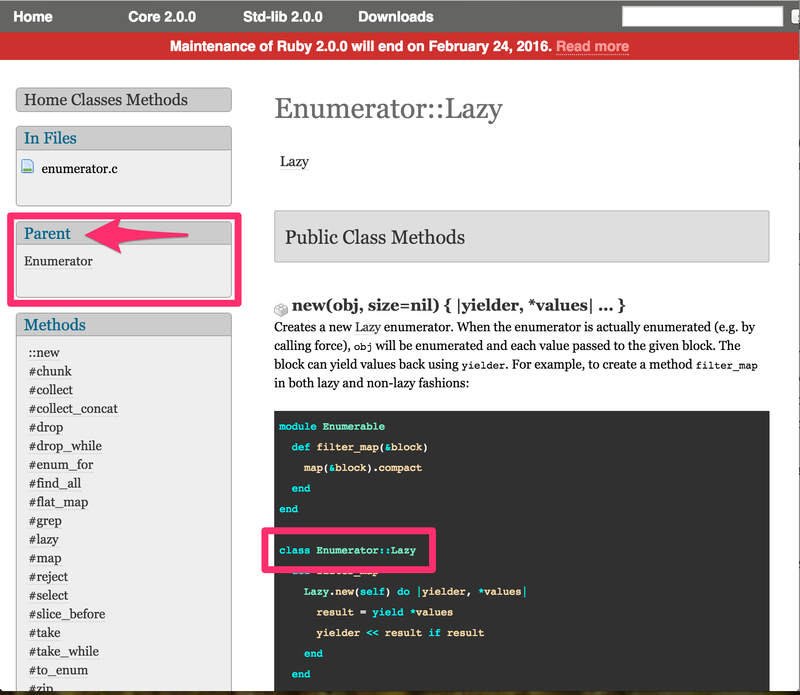 In this article, we take a deep dive into lazy enumeration, learning how Ruby implements this interesting programming technique by making your own lazy enumerable. What exactly is lazy? Is Ruby trying to slack off? Being lazy refers to the style of evaluation. To let this sink in, consider the opposite of lazy evaluation: eager evaluation. You might expect the result to be [1, 4, 9, 16, 25, 36, 49, 64, 81, 100]. Unfortunately, the Ruby interpreter doesn’t know when to stop. The problem here is 1.upto(Float::INFINITY). 1.upto(Float::INFINITY) represents an infinite sequence. How does it look like in the console? You shouldn’t be surprised by now that this will lead to an infinite loop. Notice that Enumerator#to_a is useful to “force” values out of an enumerator. In fact, Enumerator#to_a is aliased to Enumerator#force. This is useful, as you will see later on, when you want to know all the values produced by an enumerator. How does this magic work? We are about to find out. We will implement our own version of lazy enumerables, albeit a minimal version. 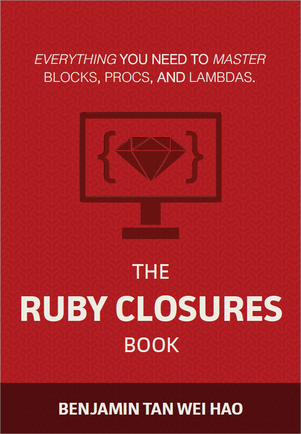 Along the way, you will also learn interesting aspects of Ruby’s enumerators. What is the difference between the two flavors of iteration? The key lies with who controls the iteration. For internal iteration, it is the Array object (or any Enumerable) that controls the iteration. In fact, that’s how you normally interact with Enumerables. External iteration on the other hand, is controlled by some other object wrapped around an Enumerable. Why would you want external iterators in the first place? Well, sometimes you do not want to iterate through all of the elements in one go. You want to be able to tell the enumerable, “give me exactly one now, and when I need the next one, I will ask again”. External iterators give you that ability. When we wrap an array with an enumerator, we can call Enumerator#next multiple times to retrieve the next value. When there are no more values left, the StopIteration exception is raised. What is this yielder object that is passed into the block? Most importantly, how is it possible that simply wrapping an Enumerable enables the retrieval of the elements one by one? We can answer the first two questions. The yielder object is passed into the block when you create an Enumerator object using with a block. The purpose of the yielder object is to store the instructions for the next yield. Not the value, but the instructions. That’s what yielder does. The is aliased to the yield method, but it has nothing to do with the yield keyword. Yes, it is confusing. This tells us that an Enumerator object contains another object called Enumerator ::Generator. Let’s take a detour and explore Enumerator::Generator. Generators are able to convert an internal iterator, such as [1,2,3], into an external one. It is the secret sauce which allows the one-by-one retrieval of the elements. One way to do that is to use a little known Ruby construct called a fiber. The Fiber class is perfect of converting an internal iterator to an external one. I’ve not used fibers much myself, but nonetheless, they are pretty fun to explore. Let’s do a quick run through of the basics. We create a fiber, and give it a block of computation. This block contains a loop that doesn’t end. What is this Fiber.yield? That is the secret sauce! We will get to that in a second. Now back to the secret sauce. What you have just created is an infinite number generator. The reason the loop doesn’t run indefinitely is because of the behavior of Fiber.yield. First of all, this has no relation to the yield keyword, as you know it. The code executes Fiber.yield x when Fiber#resume is called, the value is returned to the caller, and control is given back to the caller. Until the next time Fiber#resume is called, then x is incremented, the loop goes for another round, executes Fiber.yield x again, and gives control back to the caller. Now that we understand how generators work, let’s head back to the Enumerator::Lax implementation. We don’t t have to use Enumerator::Generator directly, since that is taken care for us by the yielder object. This should get us [2, 5, 10, 17, 26]. Here’s where the sleight of hand comes in. When lax is called, an instance of the Lax enumerator is returned. When map is called, this method is called on a Lax instance, not the map defined on the enumerable. self is the actual enumerable. It is passed in as an argument to the Lax constructor. If you run the code now, you wouldn’t get any errors, but you will still get the infinite loop. That’s because all we did was just providing an extra level of indirection without doing anything interesting. Now, we need to implement method chaining on methods such as map and take, for example. Because Enumerable::Lax returns a Lax instance, this means we need to define Lax versions of map and take. Each invocation of map and take in turn return yet another Lax instance. We also know that we need to return a new Lax instance. This time, self is going to be a another Lax instance. What does this do? It looks like the block of map is invoked with val, and that element is then passed into the yielder. That’s not completely accurate though. It is more like the instructions on how to treat a mapped value are stored inside the yielder. When there’s a block supplied, as in the case of the Lax version of map, we then yield the block, passing in the yielder object and the element val. Does it work? Let’s find out! Enumerable#first(5) returns the first 5 elements of the enumerable, which gives you [2, 5, 10, 17, 26]. Now that we have seen how map is implemented, let’s try implementing take. As its name suggests, Enumerable#take(n) returns the first n elements from the Enum. The lazy version will return a Lax instance wrapped with Enumerable#take. The logic for take should be easy enough to understand. The interesting thing here is how take signals that the iteration has ended – it raises a StopIteration exception. If you get [2, 5, 10, 17, 26], then it worked! Lazy enumerables seem magical when you first encounter them. In fact, even when you start unravelling the pieces which make up lazy enumerables, you will undoubtedly find interesting bits of Ruby that you might not have otherwise encountered. Before writing this chapter, I’ve never encountered Enumerator::Yielder, Enumerator::Generator and Fiber. Thankfully, the Rubinius implementation of Enumerable has been a great help. Learning about how the behavior of Fiber.yield was the “AHA!” moment for me.